"Our financial strength gives us the confidence to provide a meaningful return to our shareholders." The Silicon Valley network-equipment giant, which is seen as a bellwether for corporate technology spending, has warned that it has seen weak demand in China and other emerging markets. 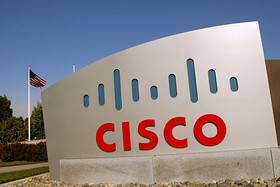 Cisco Systems Inc. posted a 7.8% decline in revenue in its fiscal second quarter, matching the unusually grim forecast it issued in November.